Industry Leaders in Residential Demolition. A trusted name in South Australia since 1970. All we leave is the memory of a job well done. Total demolition services mean that we complete the job from start to finish. No deposit is required when getting your job started. Our family run business knows how to deliver exactly what you require. 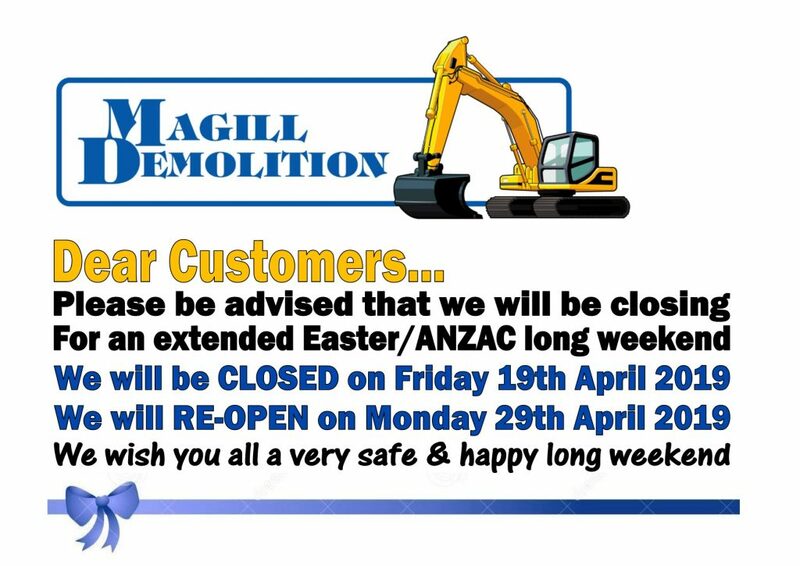 We know you will be happy and that is the Magill Demolition family guarantee. The order a building or other structure is demolished can be critical for the health and safety of workers and the general public. The order of demolition will depend on things like the type of construction, location, and demolition method selected. Generally, we demolish buildings and structures in reverse order to their construction, that is, by ‘sequential demolition’. 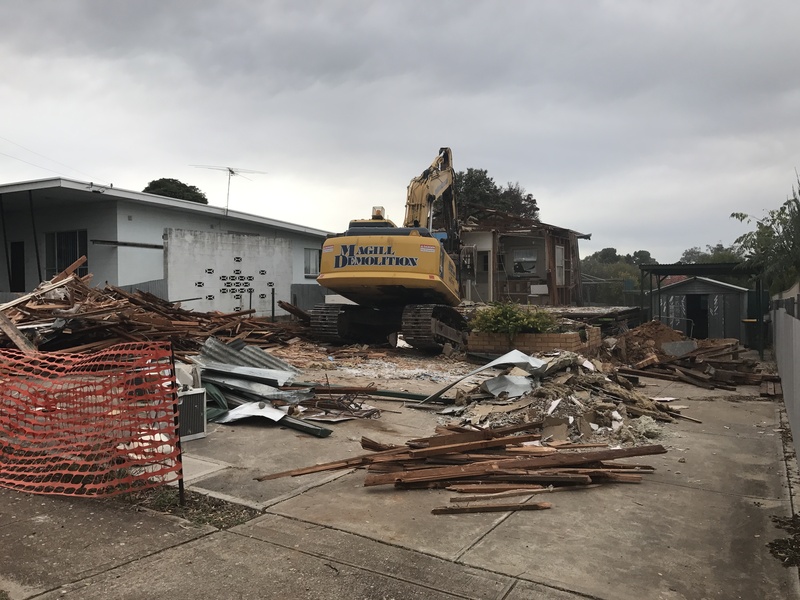 Sequential demolition is carried out in reasonably even stages, commencing from the roof or top of the building or structure being demolished, masonry and brickwork is taken down in reasonably even parts. 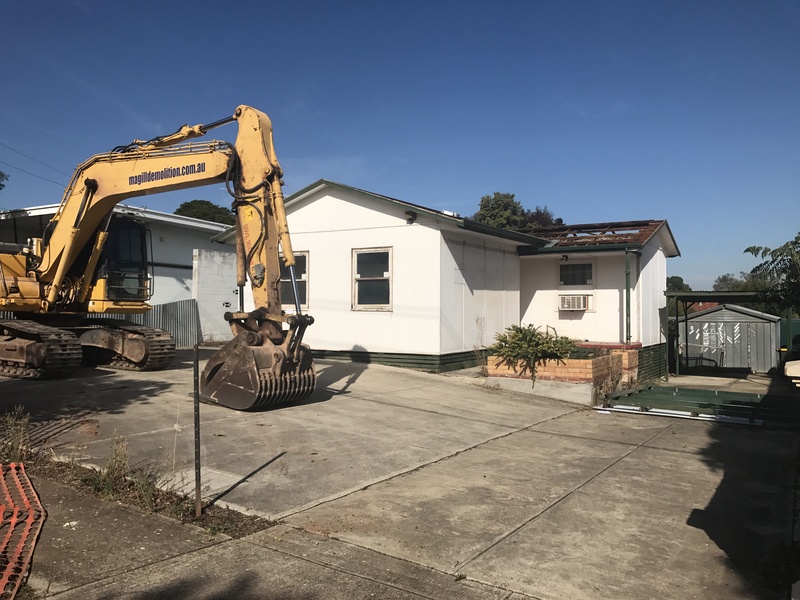 There is a range of demolition methods we can use, they are either separately or in combination. Control measures are selected on the basis of the demolition method(s) we use. However, no matter what method is used, the building or structure to be demolished and all its components is maintained in a safe and stable condition so as to prevent the unexpected collapse of part or all the structure. Further information on demolition methods can be found in AS 2601: The demolition of structures. 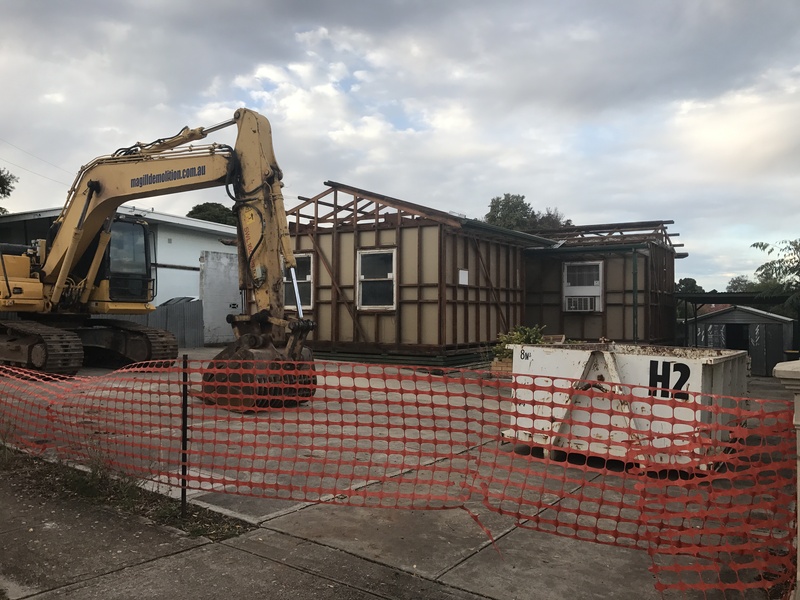 Before any framework is demolished or removed, all reasonably practicable precautions is taken to prevent the rest of the building collapsing as a result. Members are not be cut unless they are supported safely and effectively. Measures are taken to prevent sudden spring, twist, collapse or other movement of the framework when it is cut, released or removed. Any framework which is not demolished should be strong enough to remain safely in position, or should be guyed or otherwise supported to ensure that it will be stable in any adverse weather conditions. Framework members are lowered in a controlled manner. We will allow for the removal, transport and disposal of the any asbestos containing materials in strict accordance with Safework SA + E.P.A. and Local & State Regulations. We will include all necessary asbestos removal fees, permits, independent air-monitoring and independent clearance certificates on completion of all asbestos removal work we carry out. 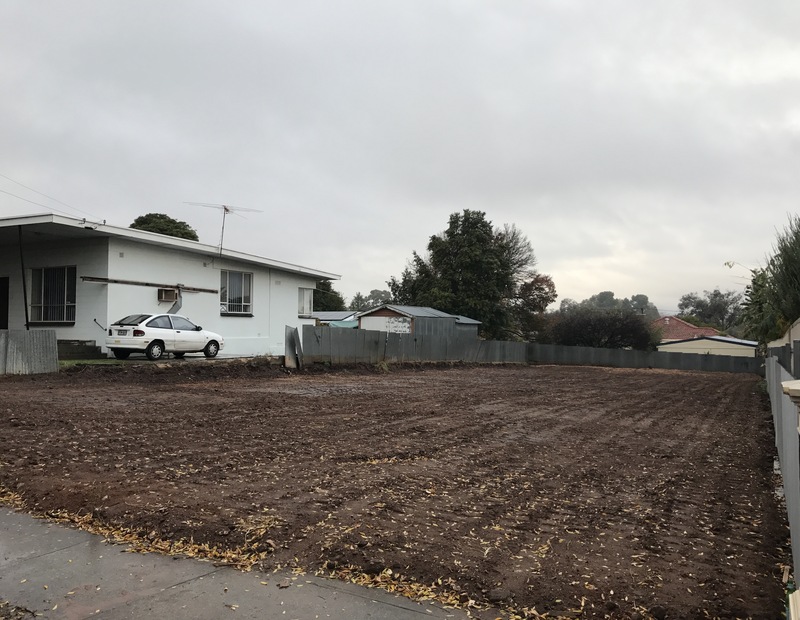 Let us take care of all permits, council approvals and utility abolishments for you!